I have been going to Weight Watchers since 2001. For those of you counting, that’s TEN years. I had some progress at first, but I was in a CONSTANT state of hunger and wanted to binge ALL THE TIME. Last year, for my New Years Resolution, I decided that I was going to go to EVERY Weight Watcher meeting. I was never going to miss one meeting. I also got my willpower going when I decided I didn’t want to be like Lindsay Lohan or Charlie Sheen. I was going to keep my addiction under control. Let me assure you right now that I followed the program to the letter for a year and saw such paltry results that I KNOW for a FACT that Weight Watchers does not work for me. It did when I first started it in 2001, but something has changed and I can no longer lose weight on that plan. I had been playing with the concept of low carb for a while. It appealed to me because my lactose and gluten intolerance were severely aggravated by the WW plan. When I followed low carb, they understandably went away. You know what else went away? My constant hunger and desire to binge. So, here we are in 2011. I’m giving it a year of following the low carb diet just as faithfully as I did WW. I’m going to see if I have any better results on this diet than I did last year. I think Weight watchers is a well balanced healthy program but no diet program is for everyone. Processed carbs cause some people to eat more food than they would otherwise or become hungrier. Those people who are carb sensitive end up consuming more calories. Some people have caffeine sensitivity caffeine makes them hungrier. It all does come down to calories in the end. Gram crackers can be a huge trigger for me. If you do decide low carb is for you. Vegetables like lettuces, Zucchini, cucumbers, pumpkins, spinach, cabbage; might be good way to get fiber and fill you up AND THEY don’t have loads of carbs. Beans and lentils have carbs but they slower carbs than cake or cookies. Good for you! 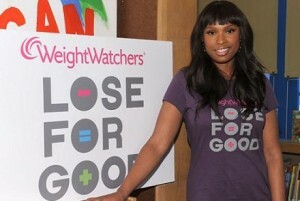 I thought Jennifer Hudson did a disservice by doing those WW commercials when she didn’t follow the traditional WW diet. Good luck! Have you checked out the new Weight Watchers plan that was introduced after Thanksgiving in 2010? They have reformulated the point system to take into account carbs, fats, protein, and fiber. So, a slice of bread, due to the carbs, is usually 3 points, while an apple (the carbs are natural, non starchy) is 0 points. Thus, to stick to the plan, you will be able to eat more if you limit breads, pasta, rice, and stick with lean protein, fruits and veggies. I don’t use any programs, but I’ve found many a great recipe just through a few Google searches. They have some pretty cool stuff over at Extreme Makeover: Weight Loss Edition’s site (http://abc.go.com/shows/extreme-makeover-weight-loss-edition/recipes/ThemeGallery/795475). They debut a new dish every episode, so you can check them out Monday nights on ABC at 10pm/9c. I wish you good luck Laura. I started low carb eating and lost a reasonable amount of weight, but then stupidly fell off the wagon big time, am very fat again and feel crap about it. I’m also going to cut out a lot of carbs again and restart my running regime and see what happens. I’m not at all surprised that you didn’t lose much weight on WW. The “science” behind it seems to be “Eat whatever you want, as long as you’re below your calories allowance for the day”. That never worked for me, and it doesn’t work for a lot of people. You’ll probably do a lot better by cutting out refined carbs – not all carbs, just refined carbs – which is far healthier anyway.